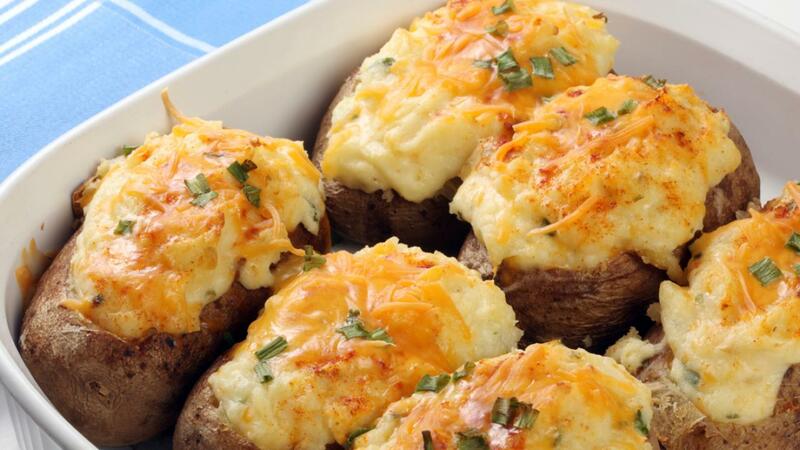 Everyone loves potato skins. Eggs, bacon and cheese served in a potato skin is sure to get their attention. You may need to double this one! Combine potato flesh, eggs, sour cream, chives and bacon in medium bowl. Stuff potato skins with egg mixture. Sprinkle cheese over top. Bake in preheated 375°F (190°C) oven until cheese melts, about 15 minutes.